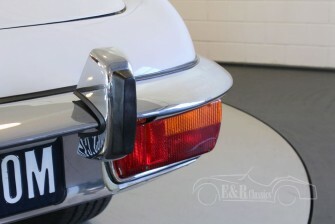 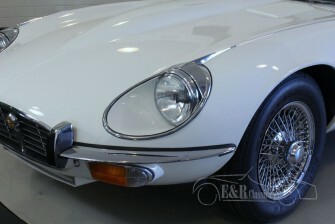 A magnificent and very chic Jaguar E-Type Series 3 in topcondition. 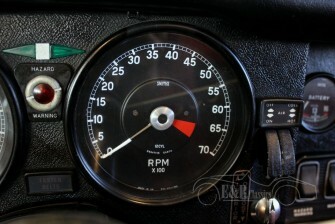 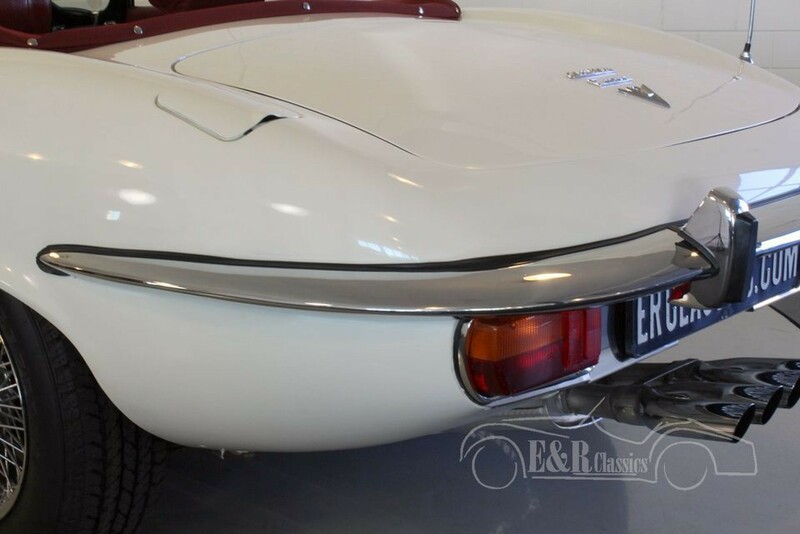 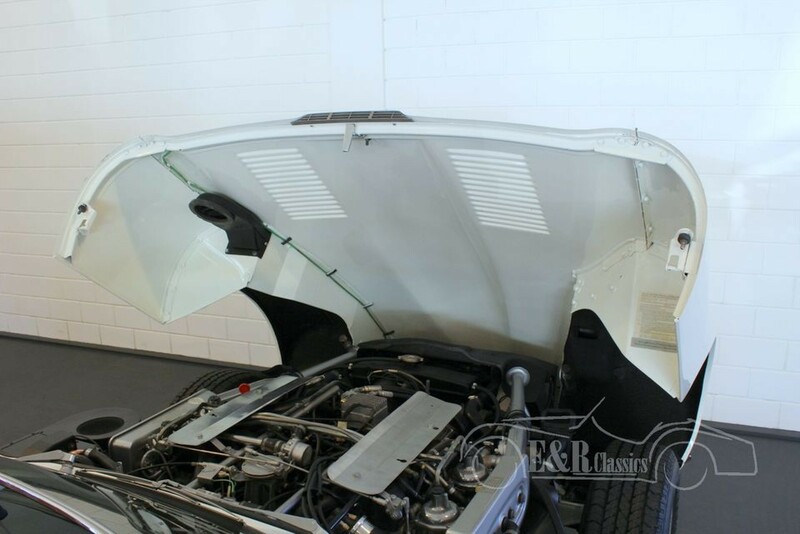 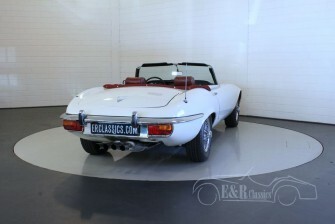 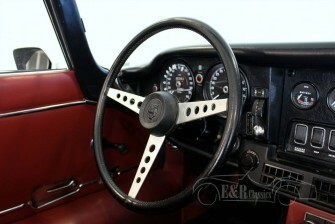 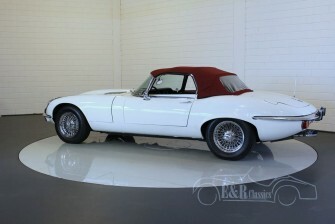 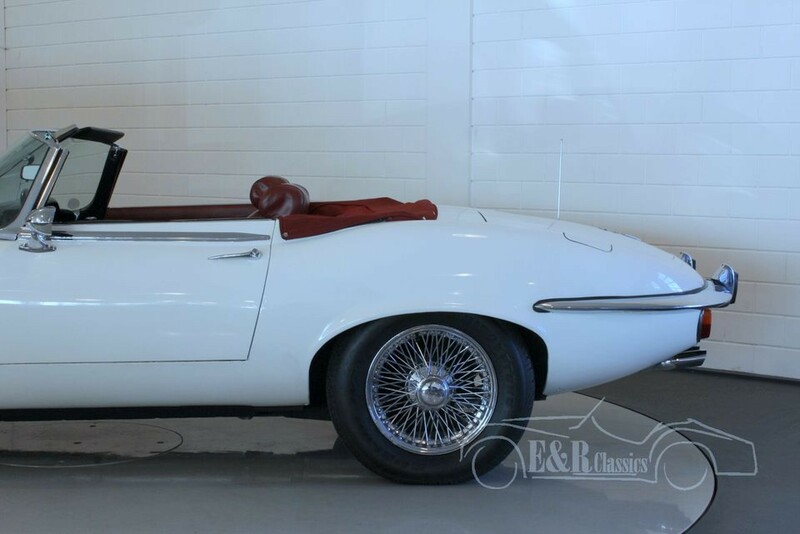 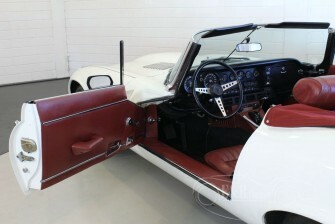 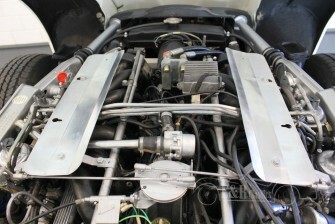 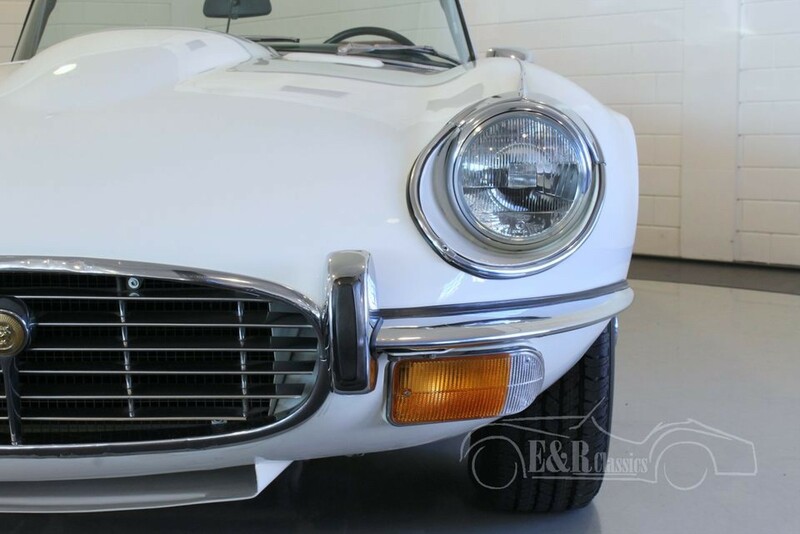 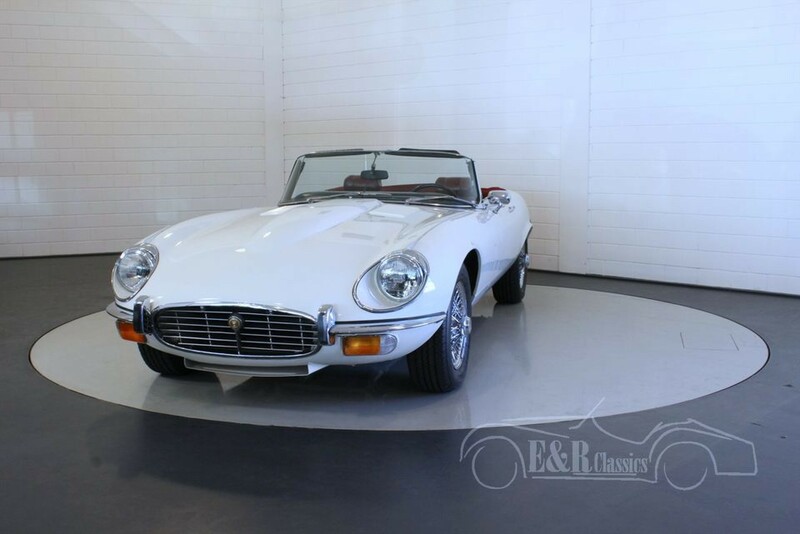 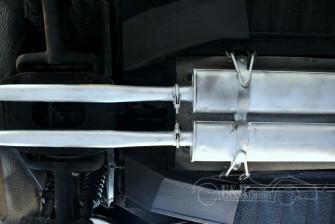 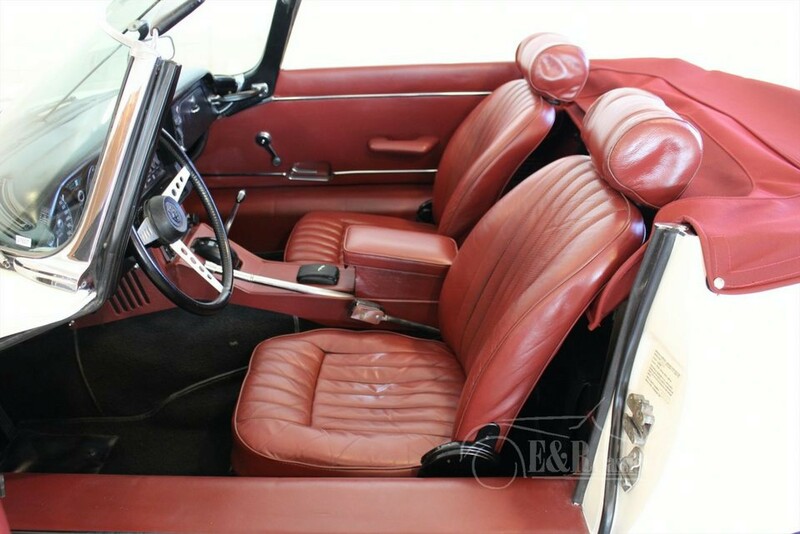 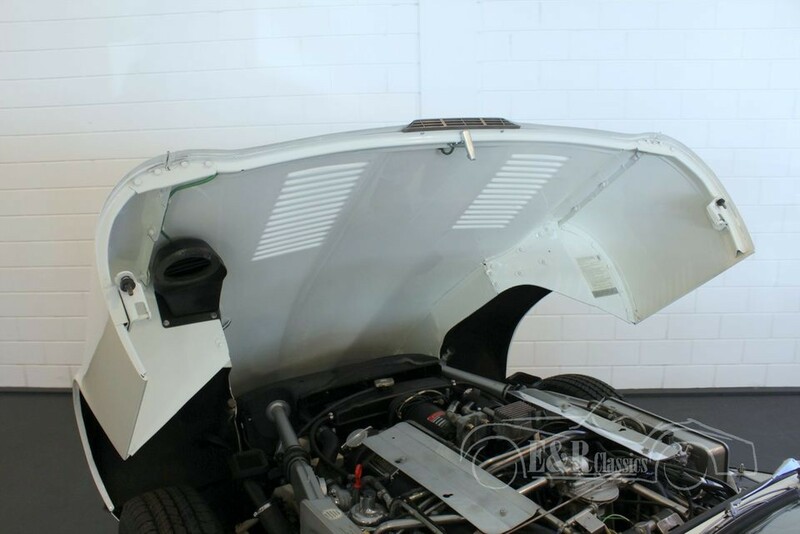 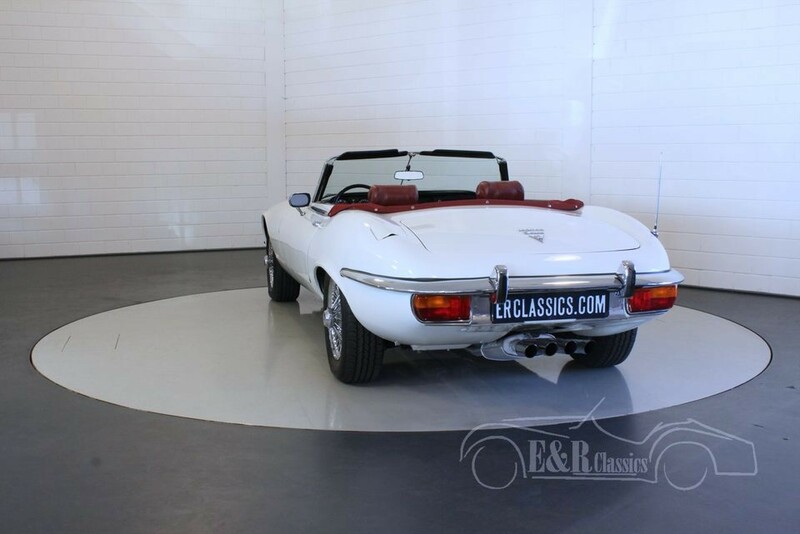 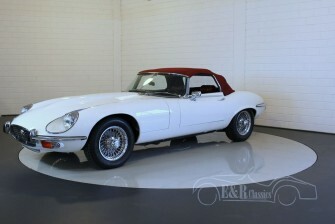 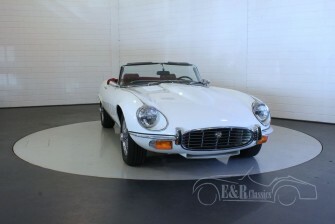 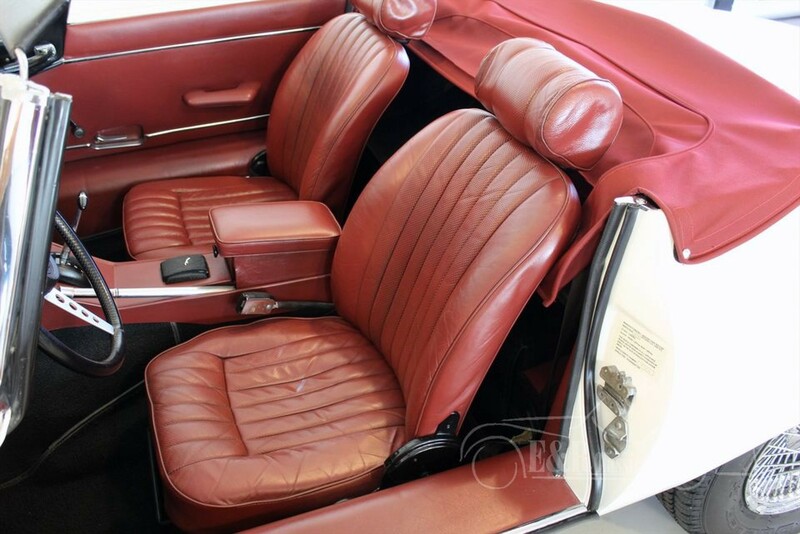 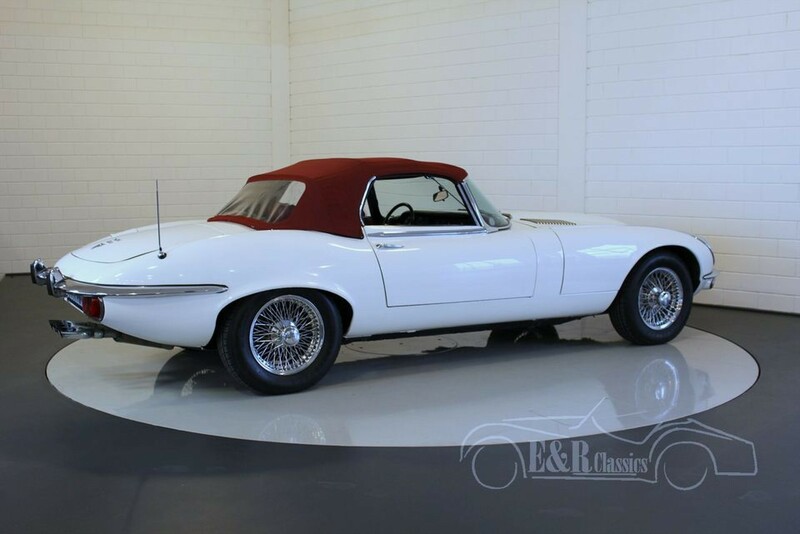 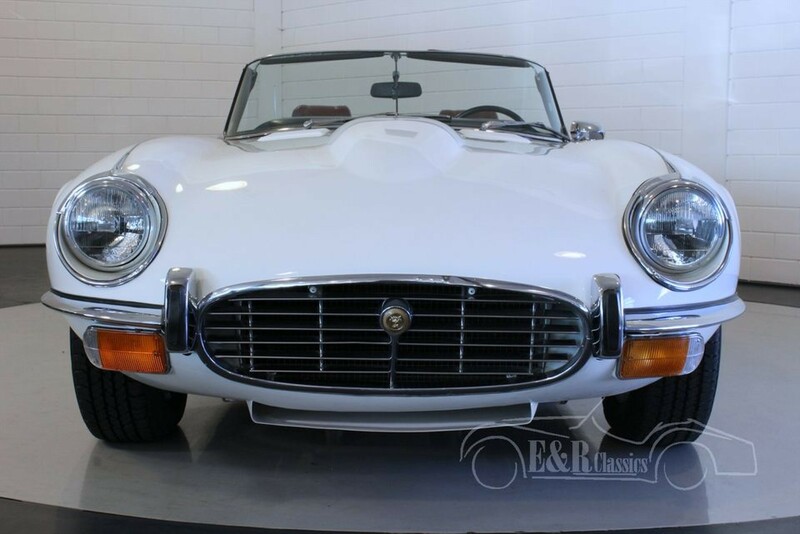 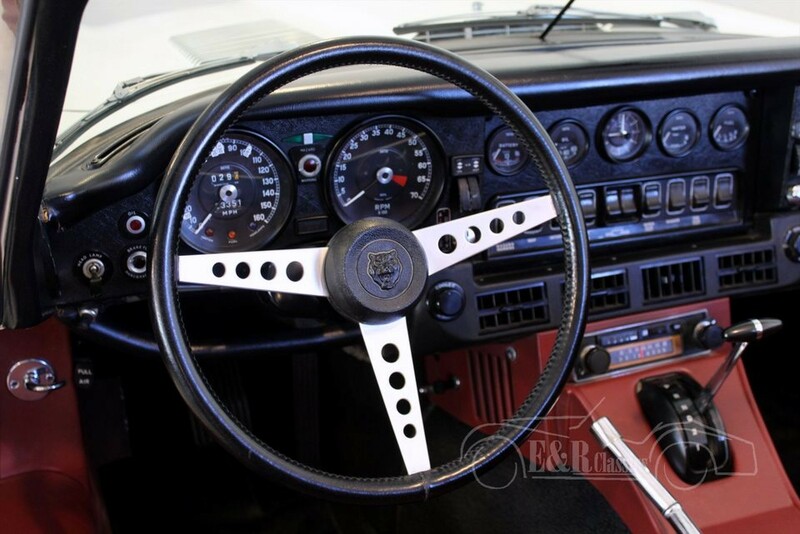 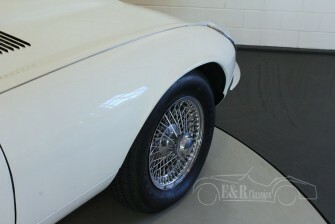 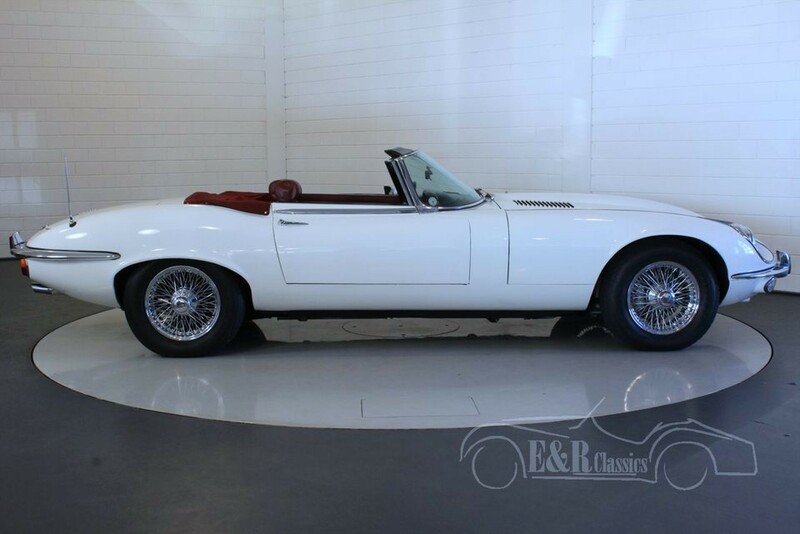 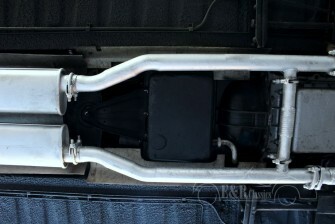 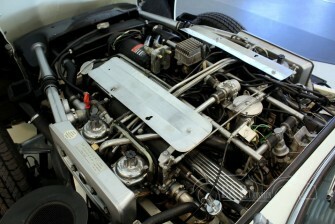 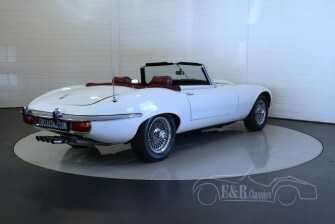 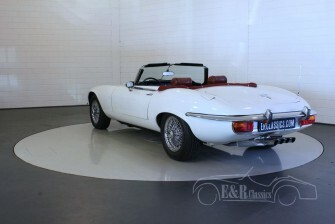 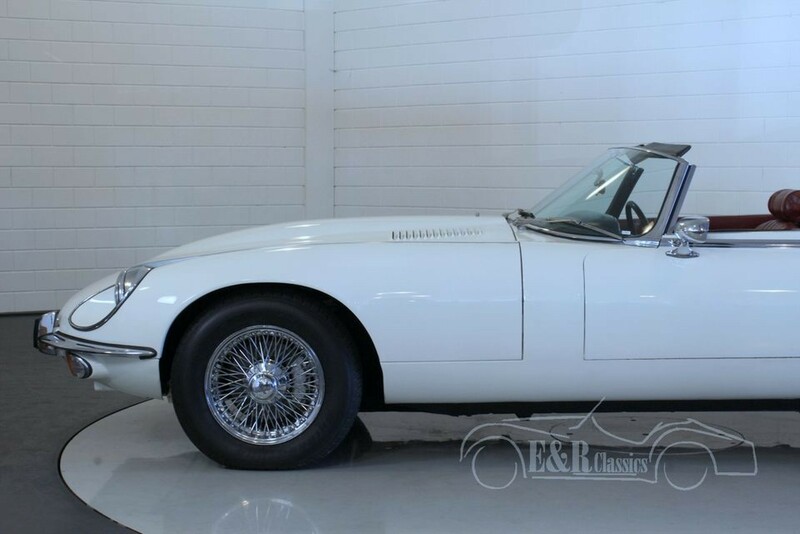 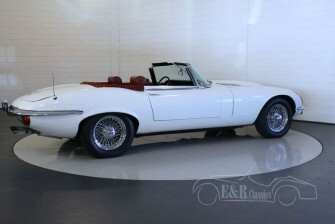 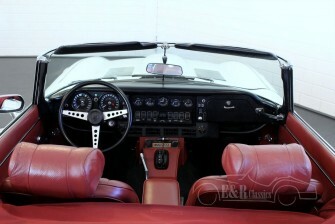 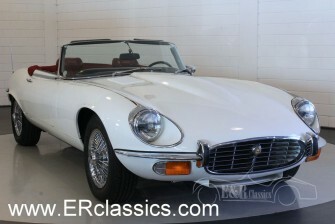 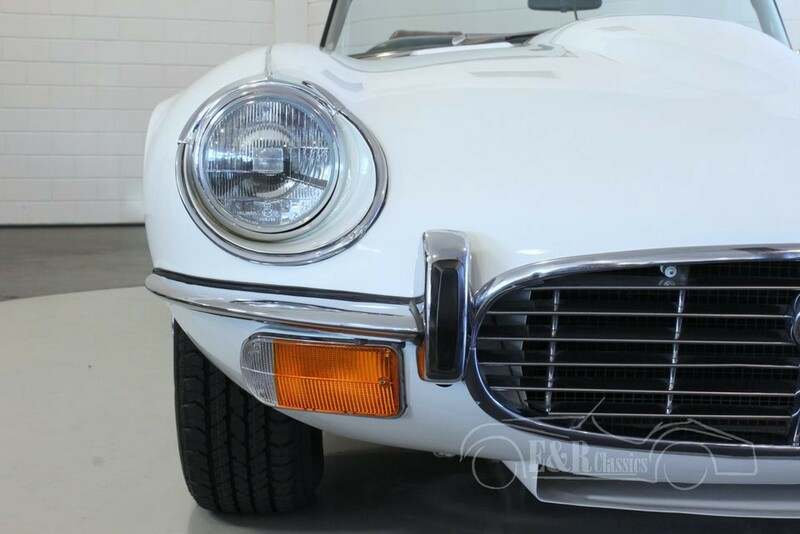 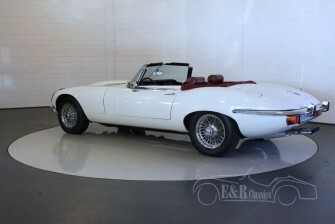 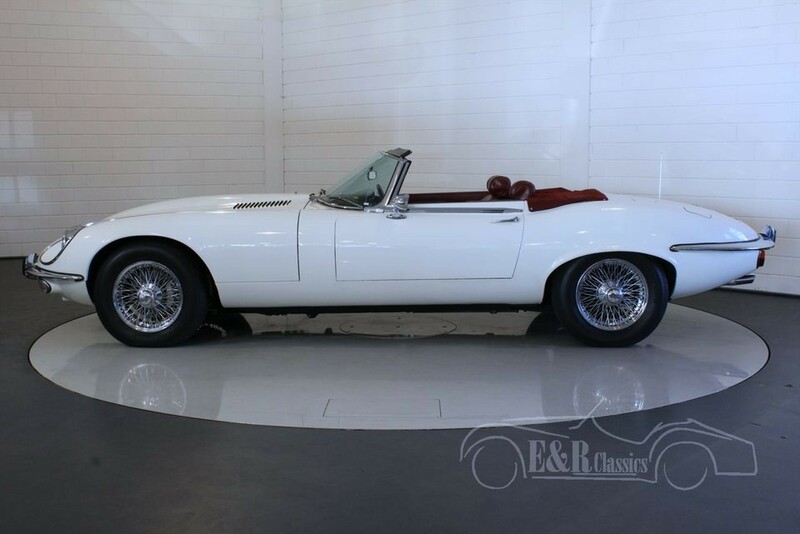 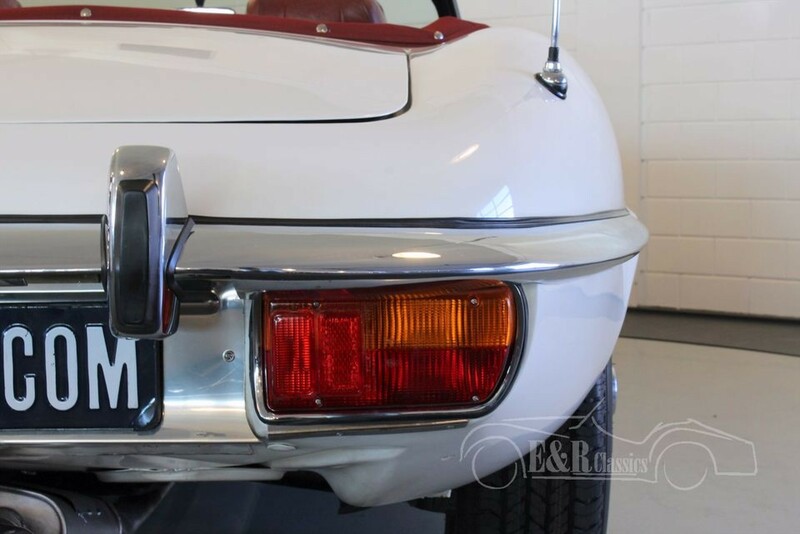 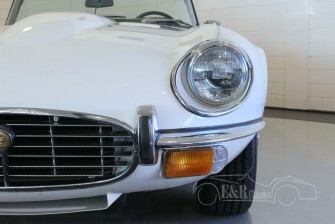 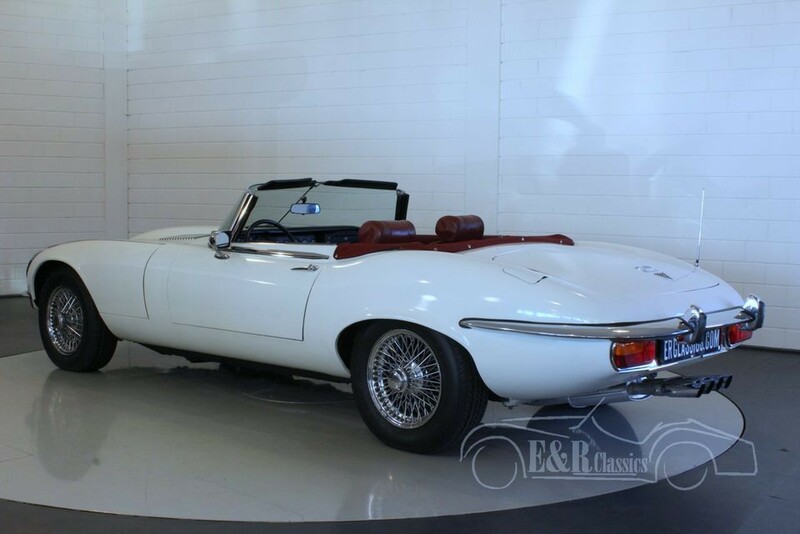 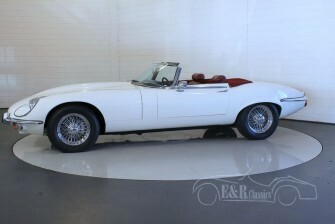 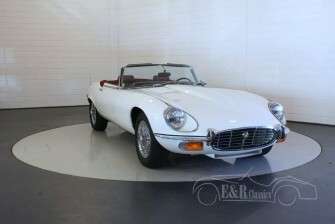 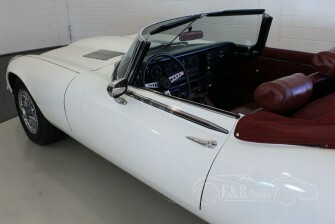 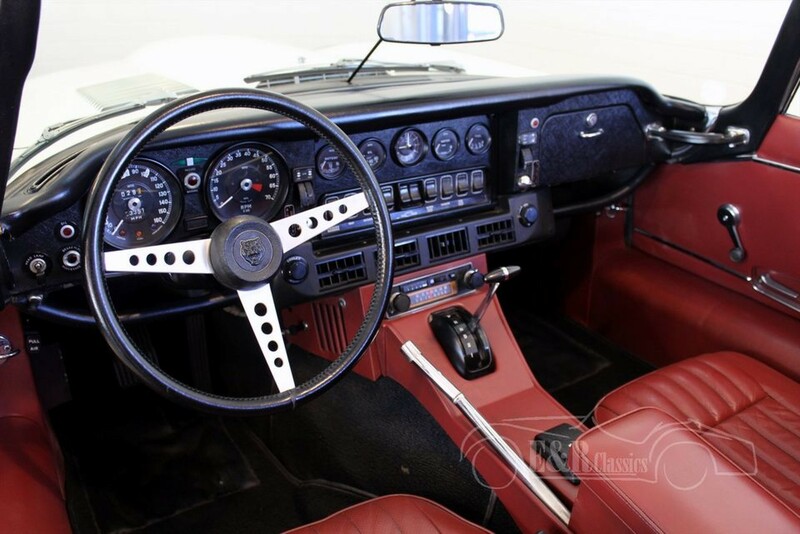 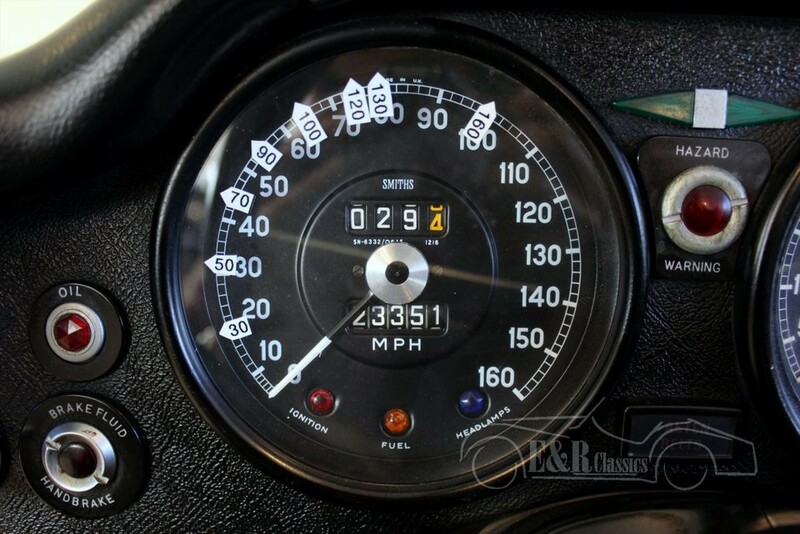 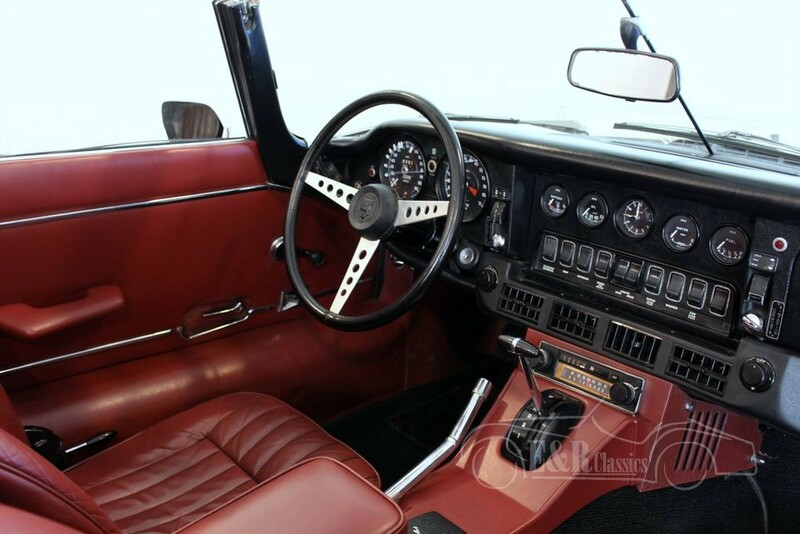 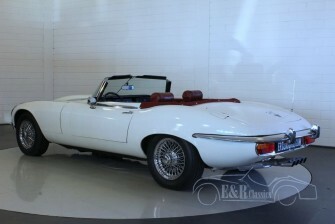 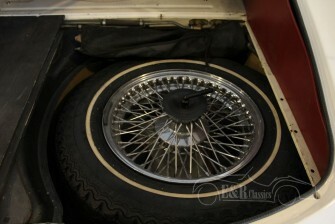 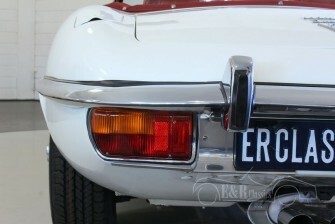 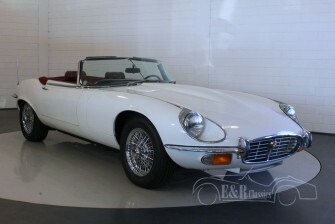 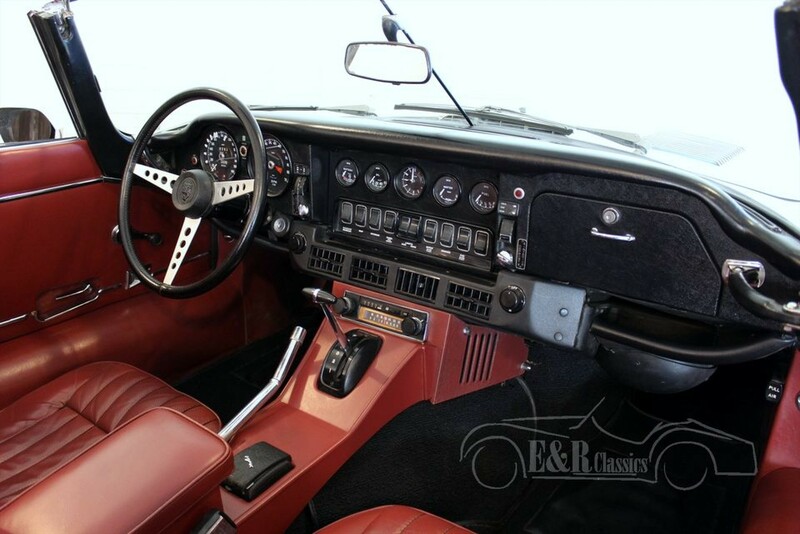 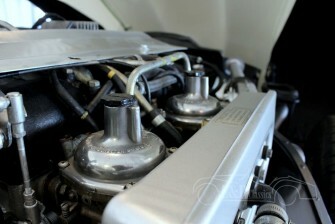 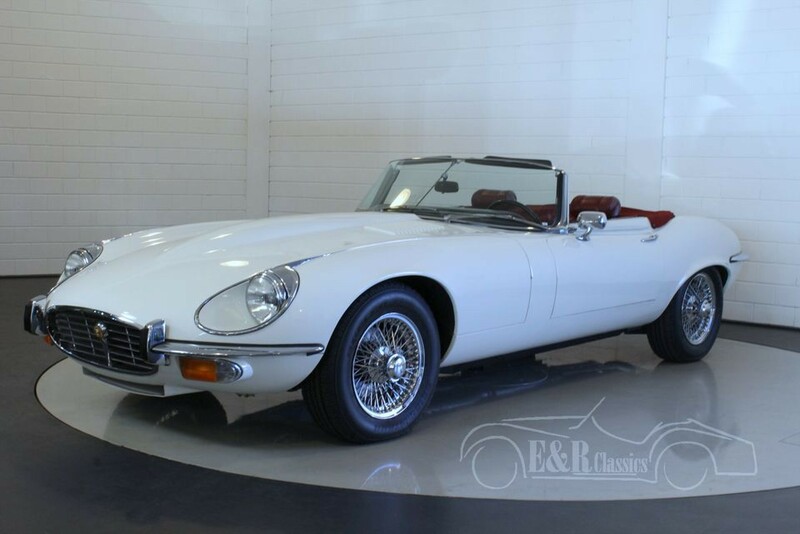 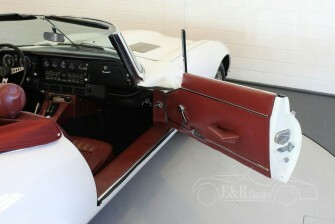 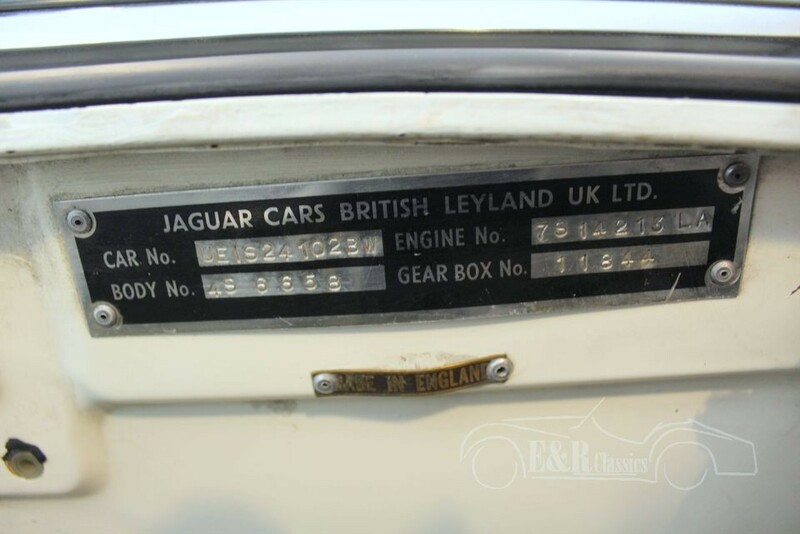 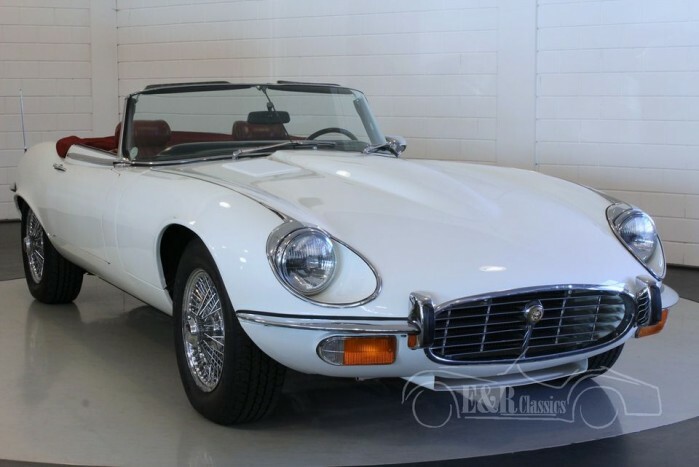 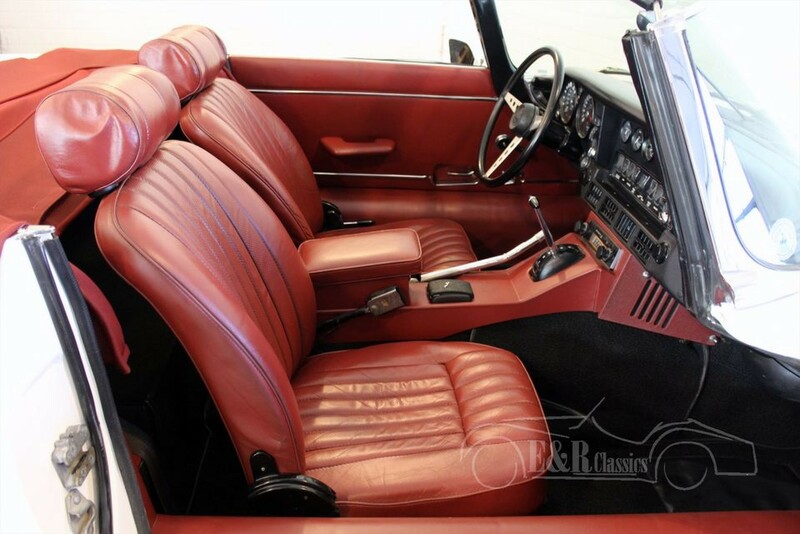 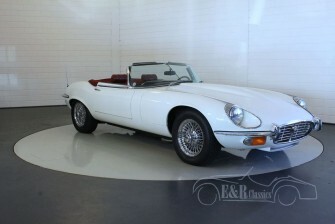 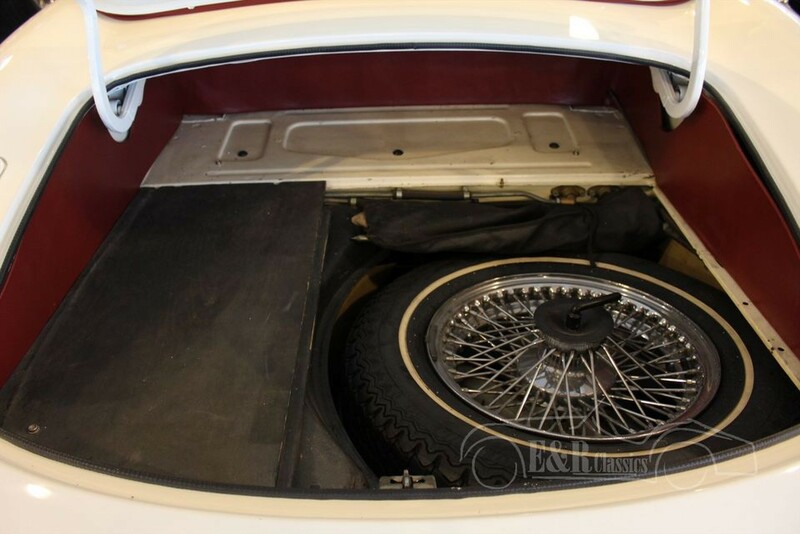 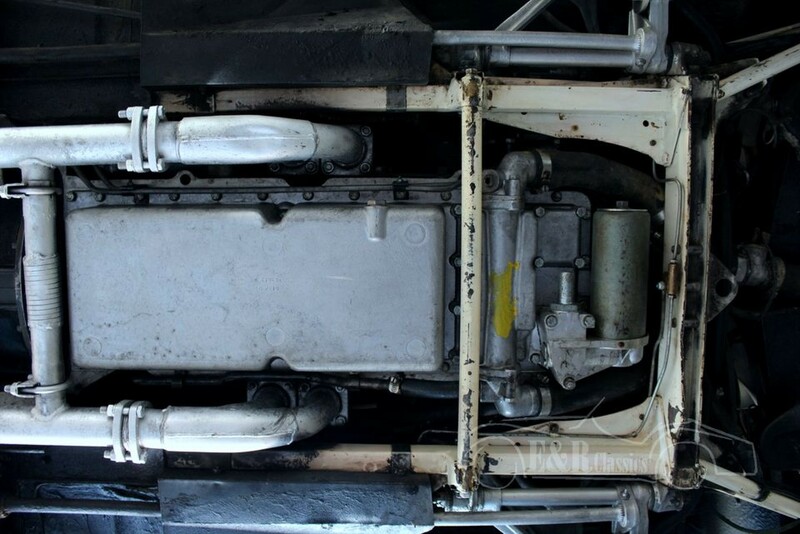 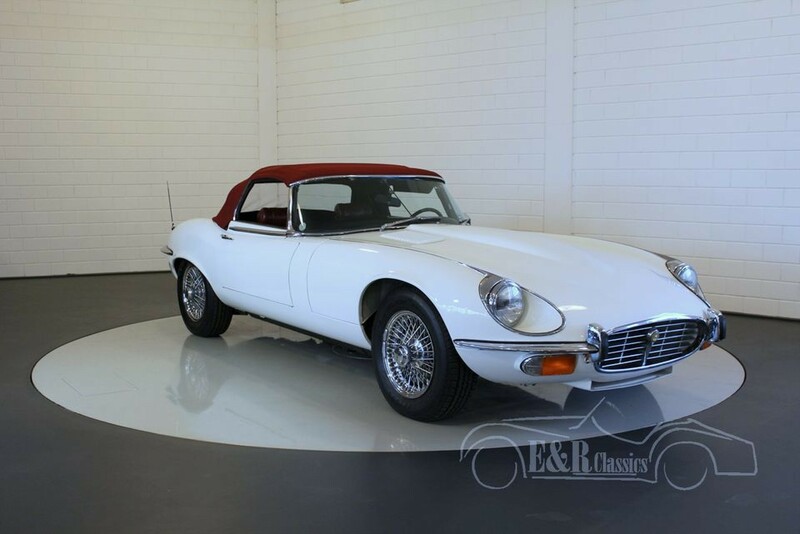 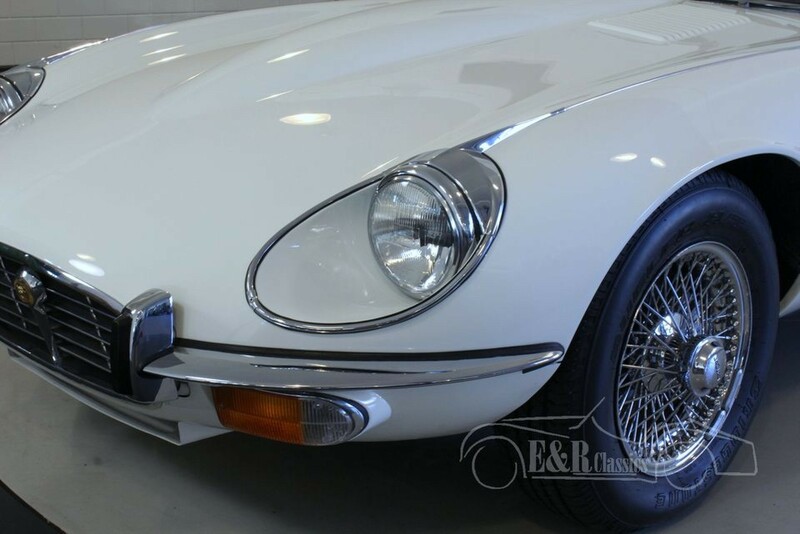 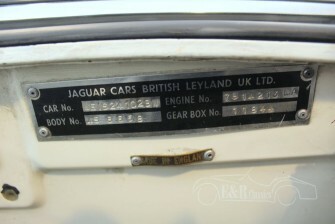 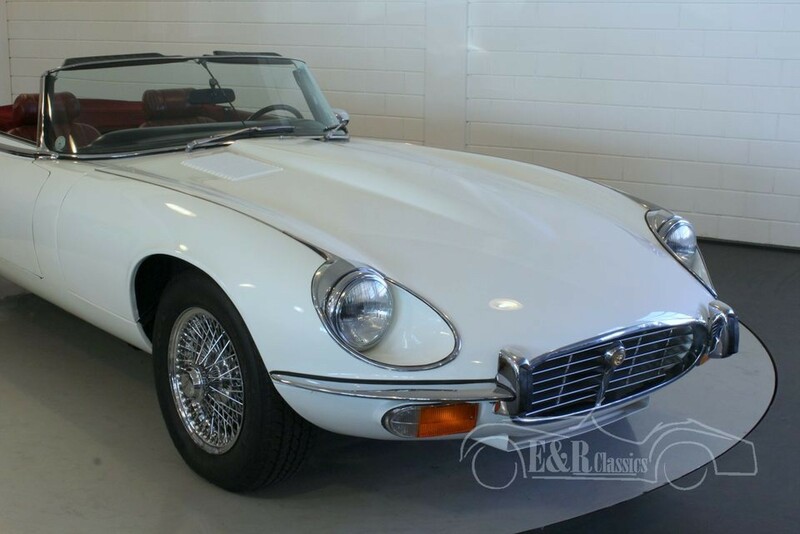 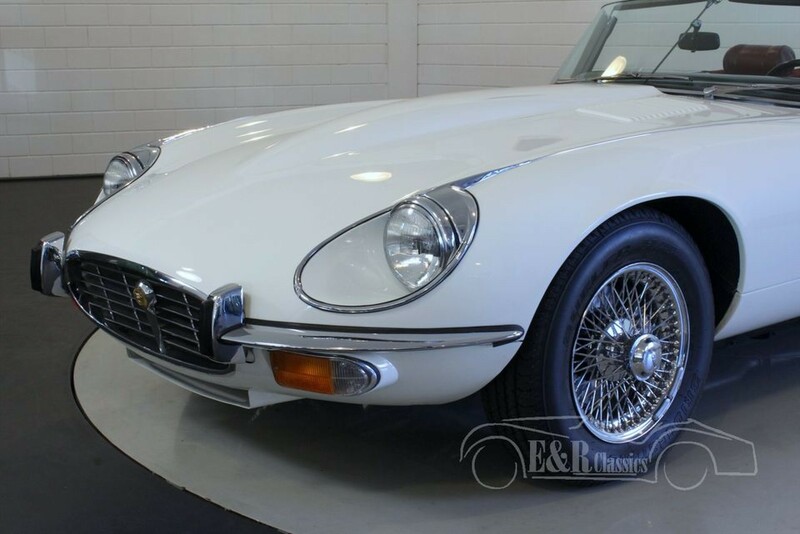 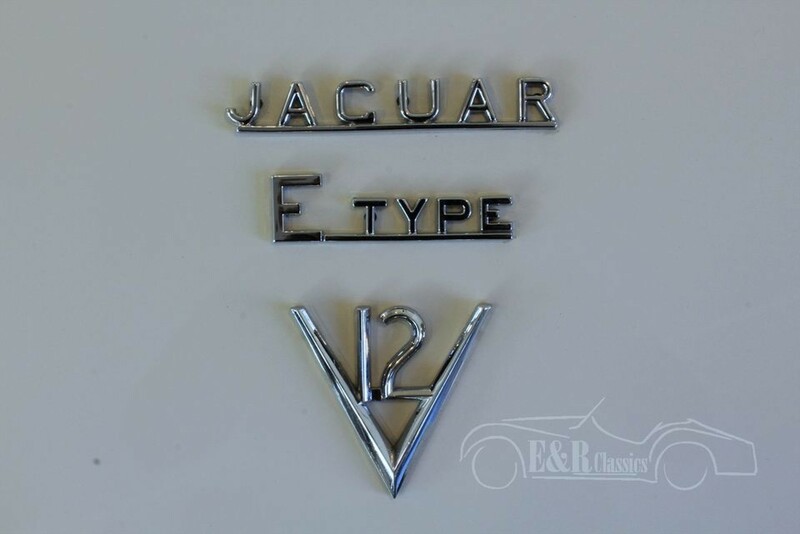 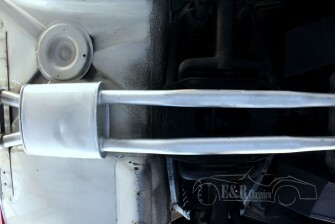 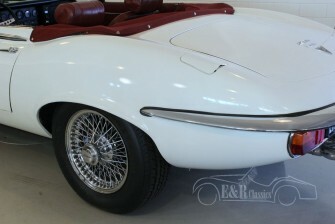 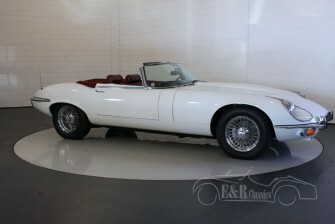 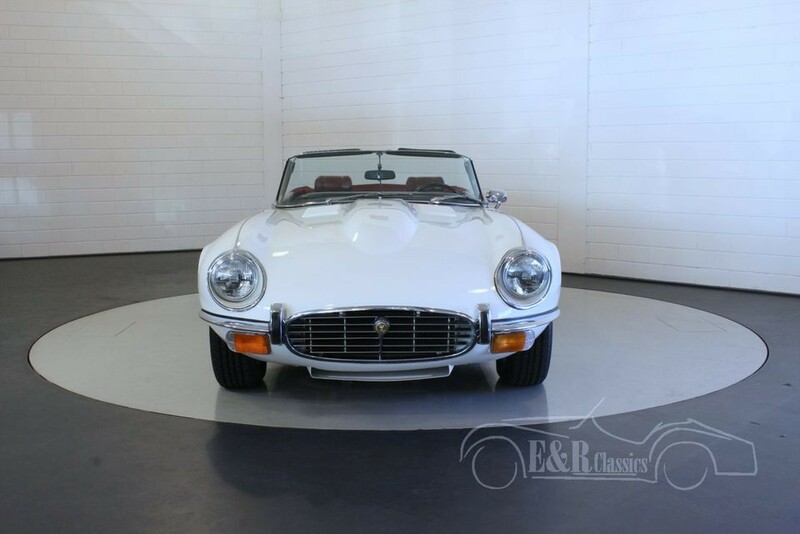 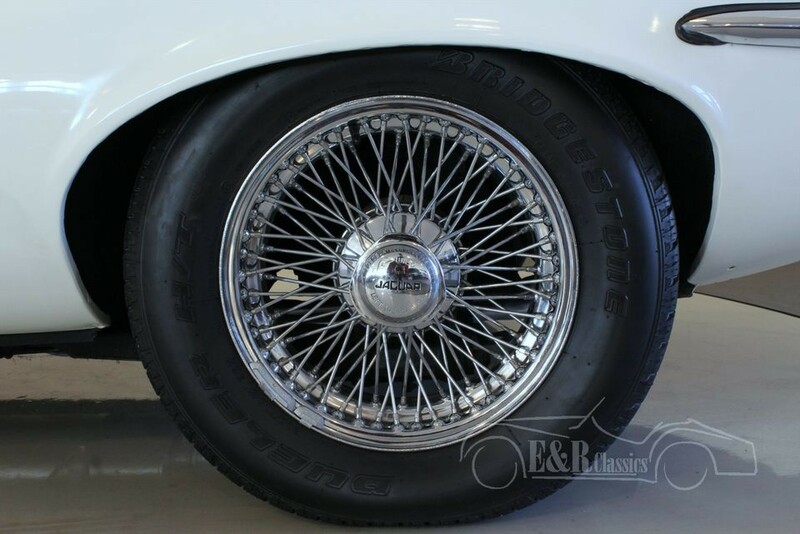 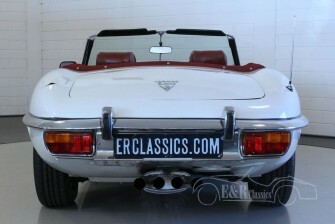 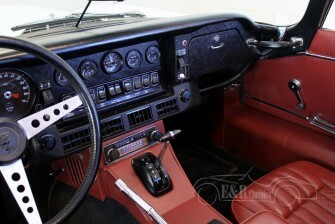 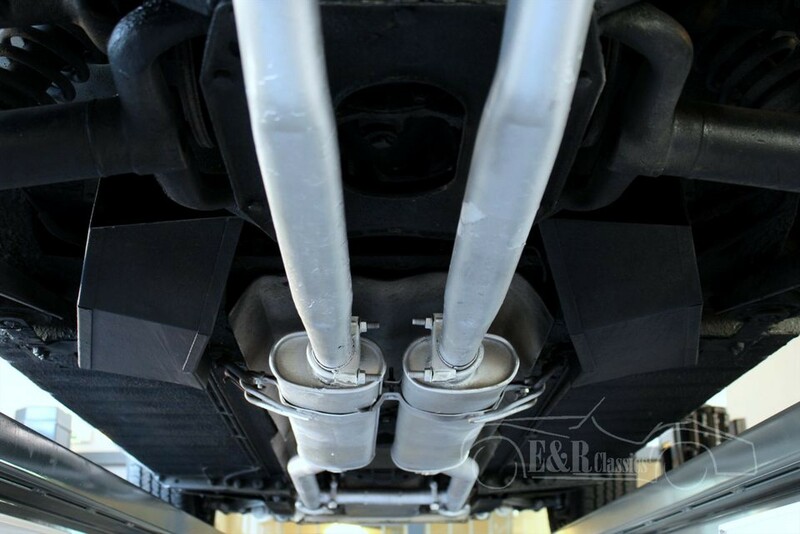 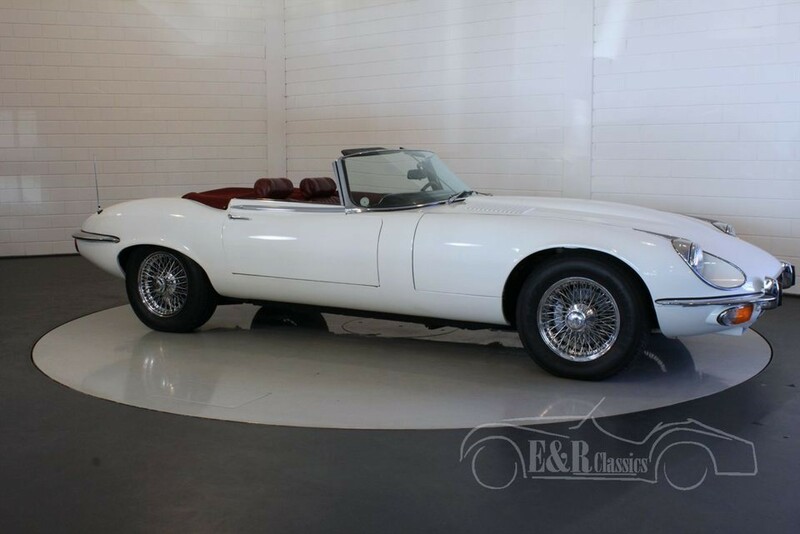 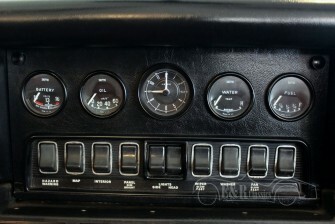 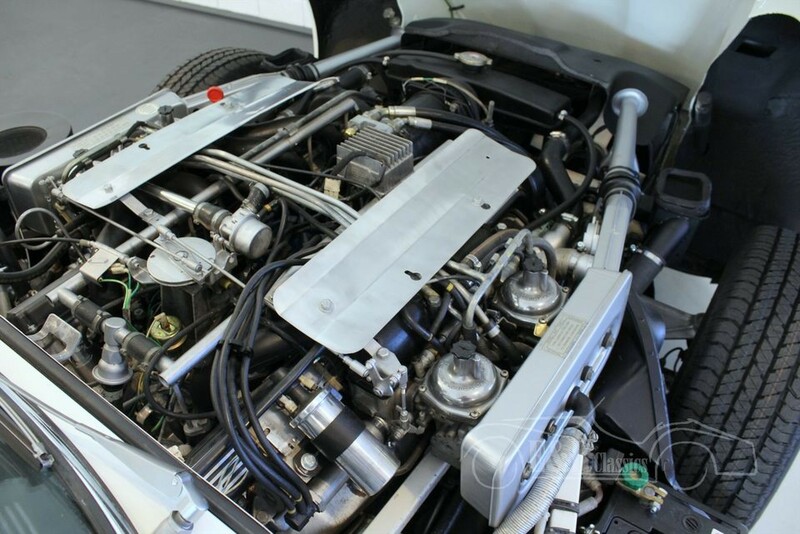 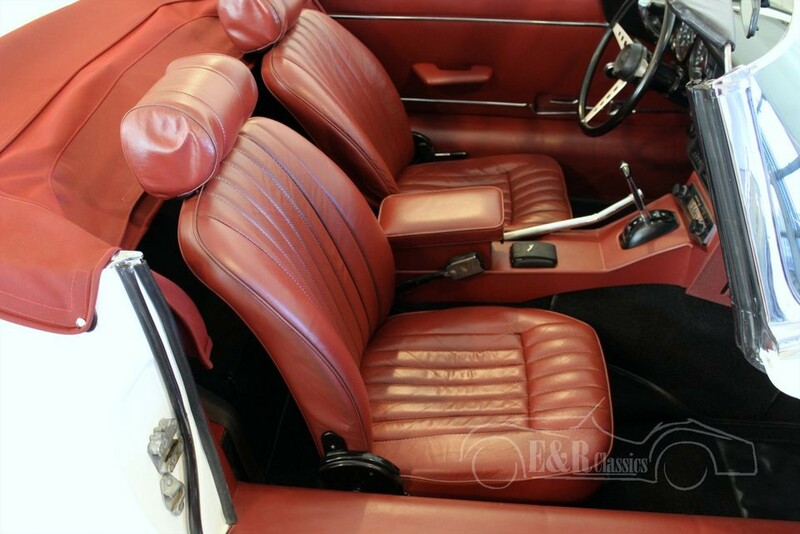 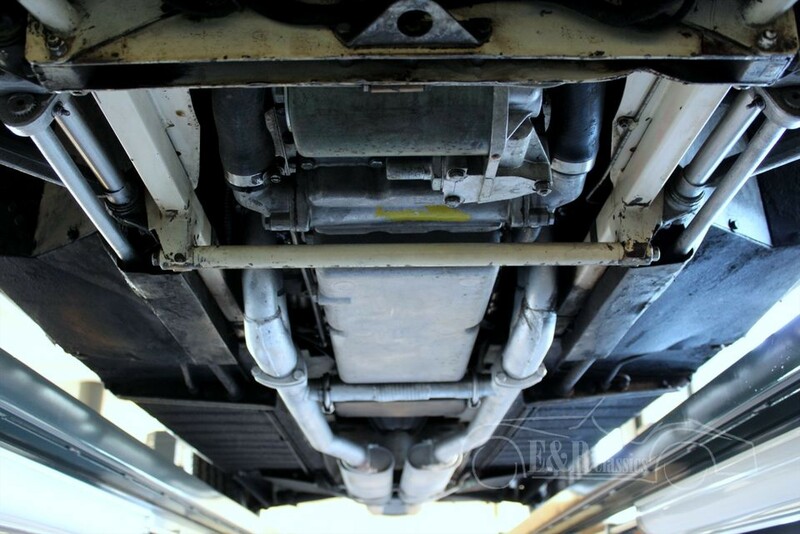 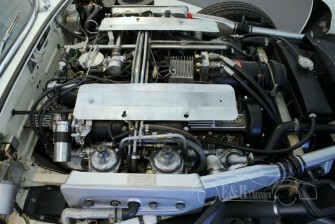 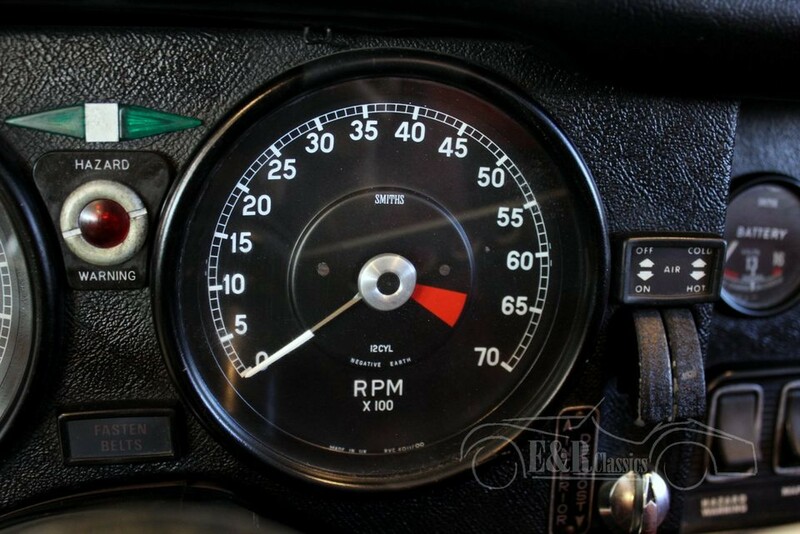 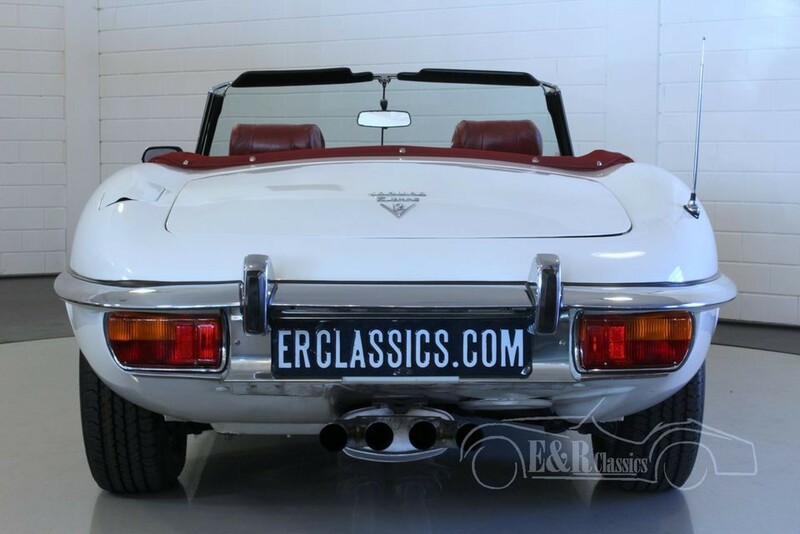 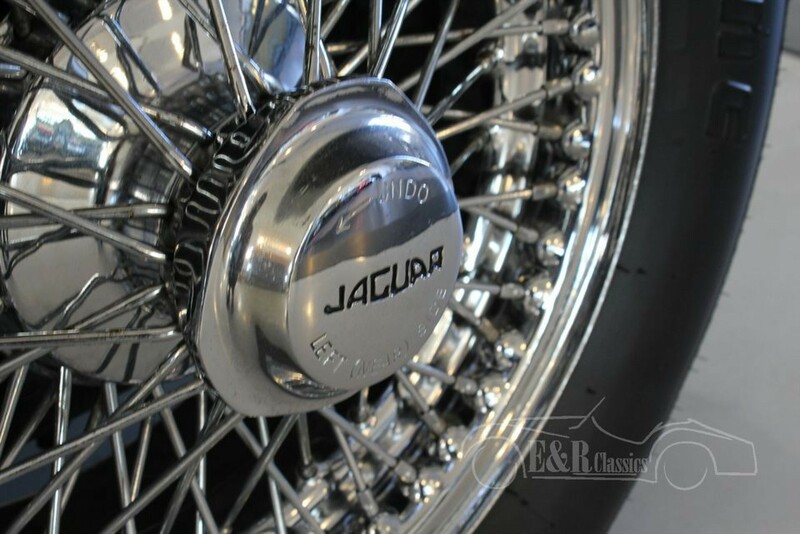 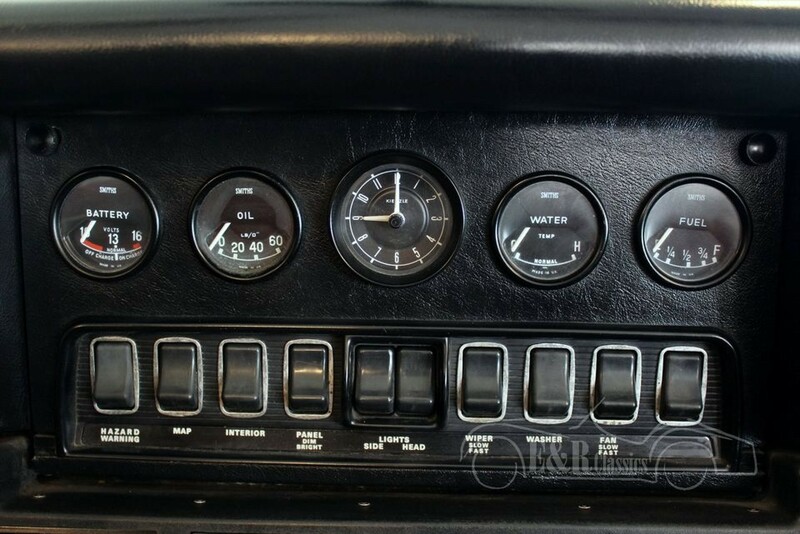 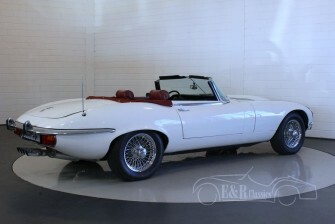 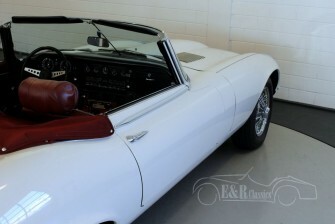 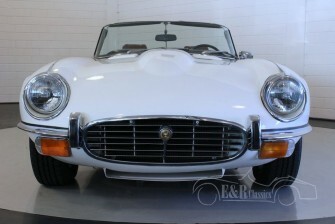 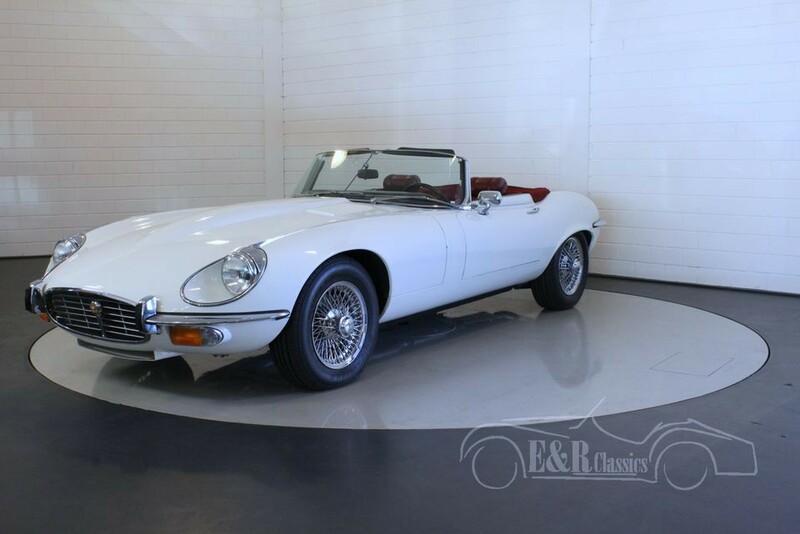 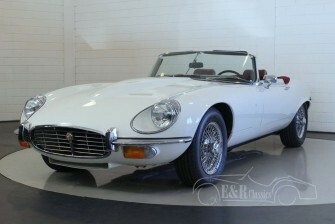 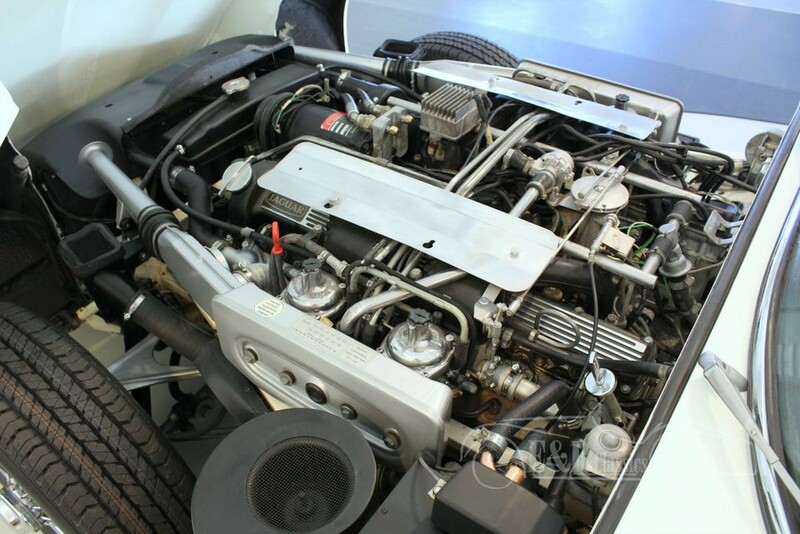 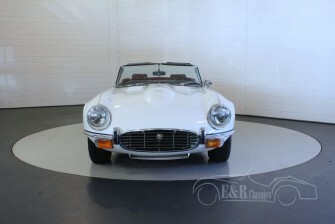 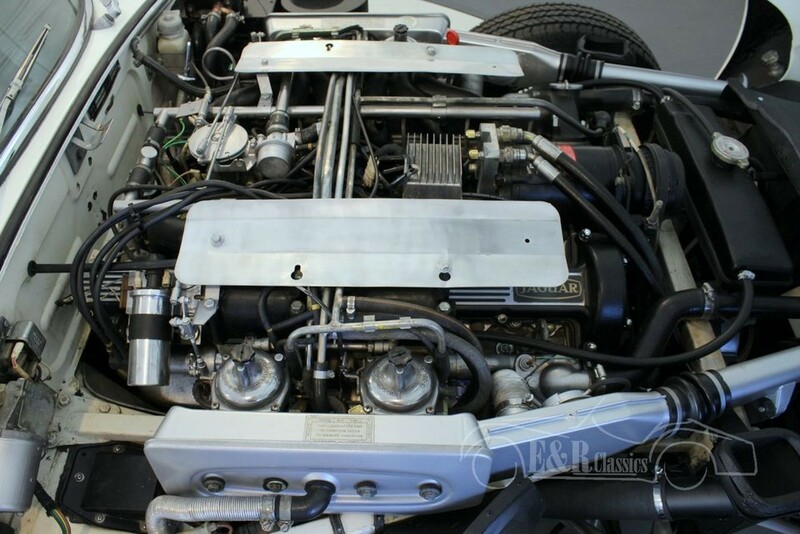 This E-Type has power steering, improved brakes and the original matching numbers V12 engine. 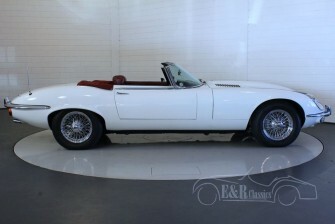 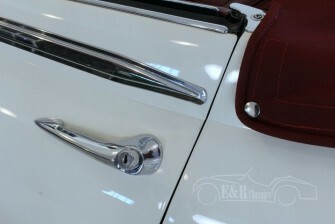 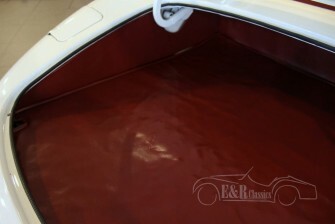 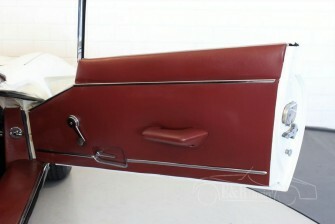 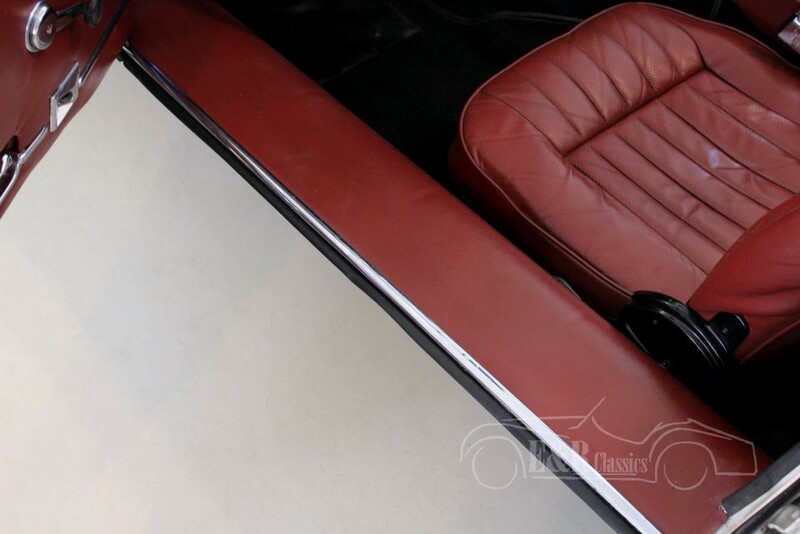 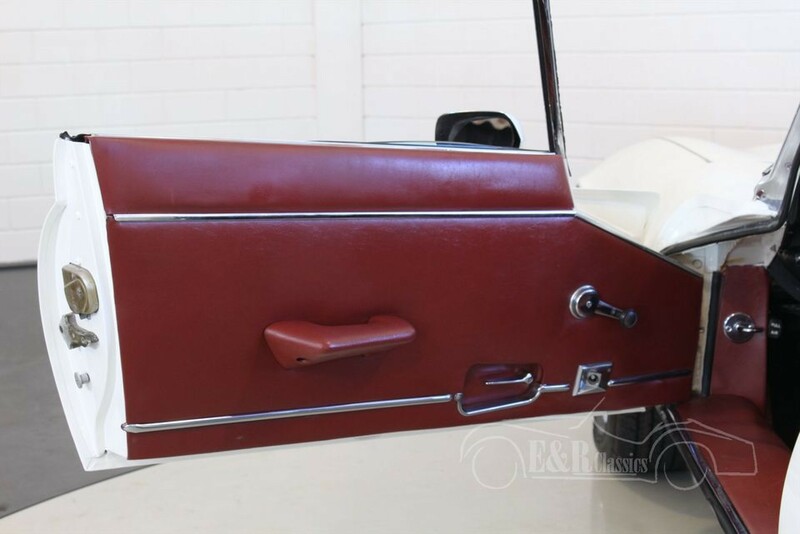 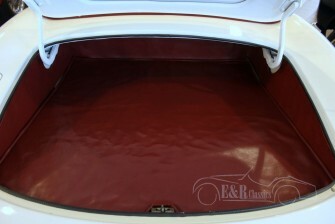 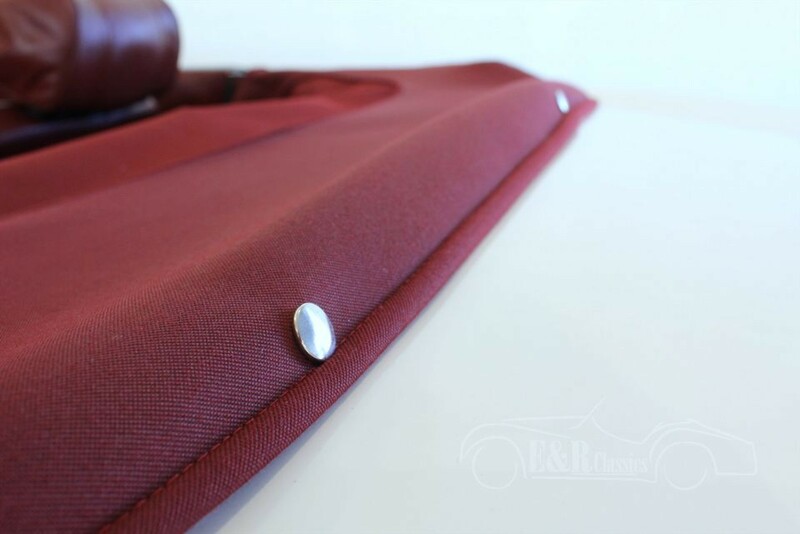 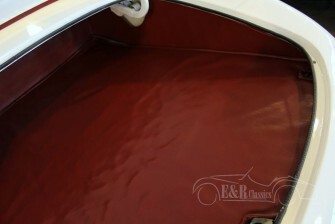 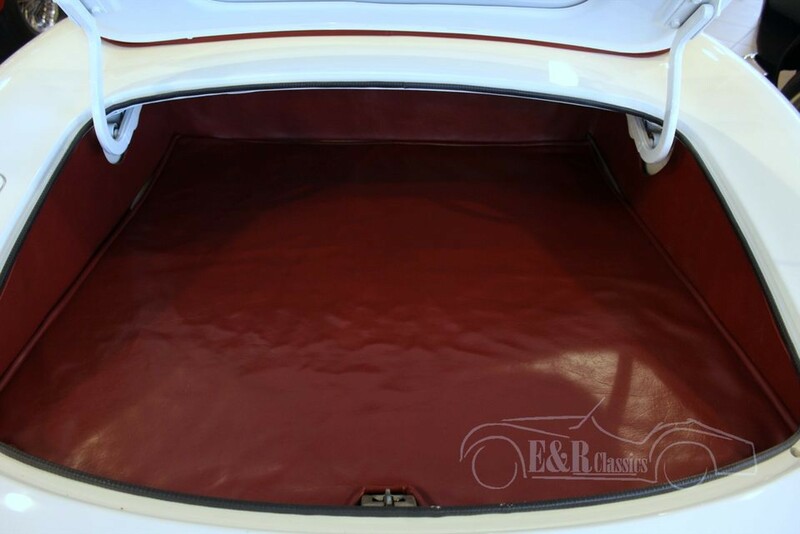 The car has a red mohair softtop, beautiful paint in colour ‘Old English White’ and red leather interior, a great combination. 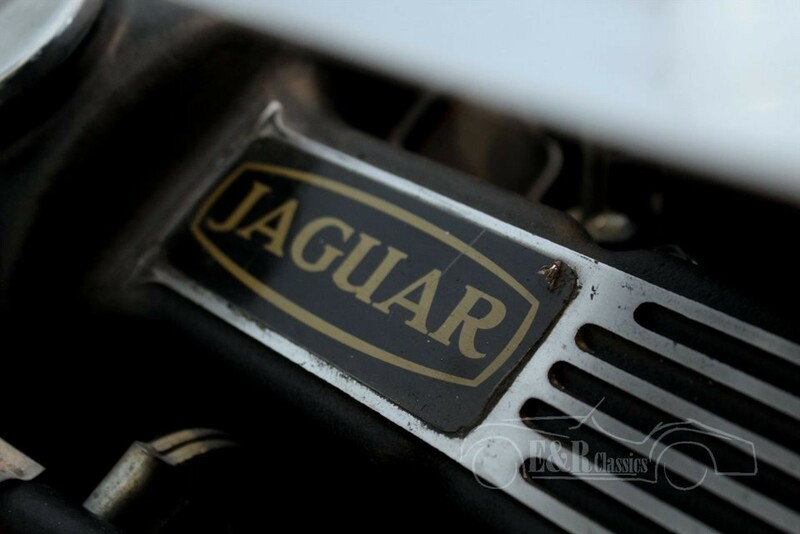 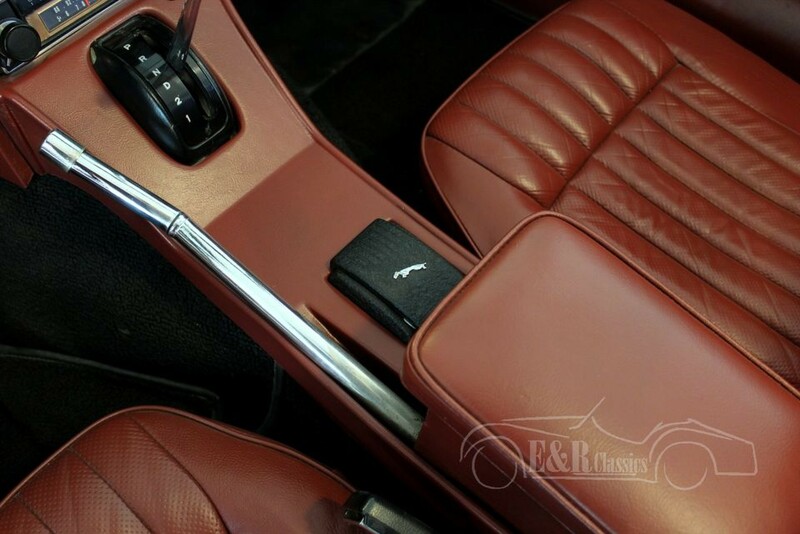 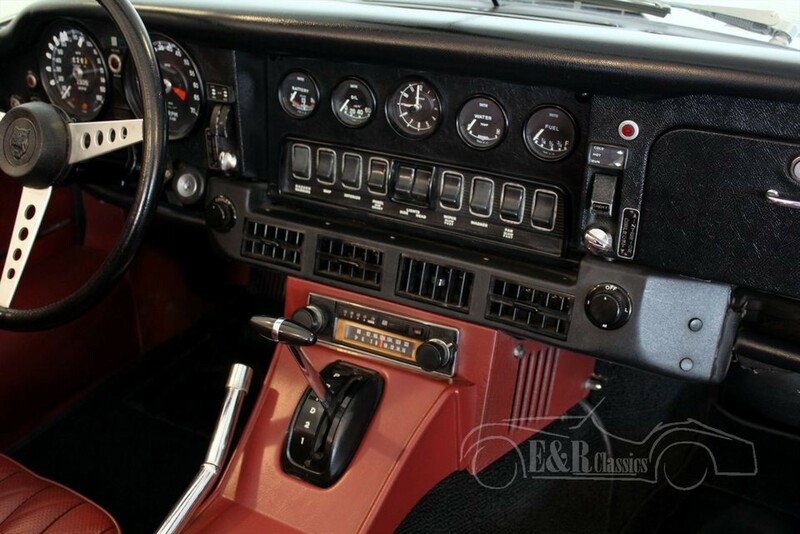 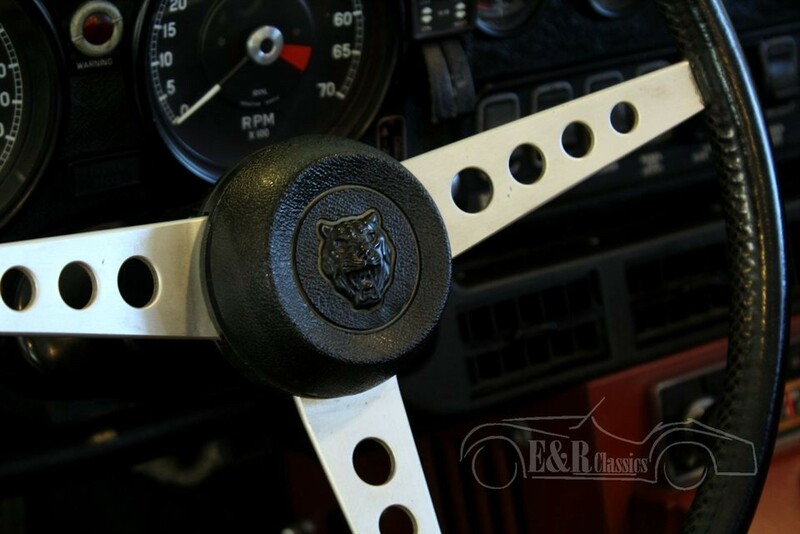 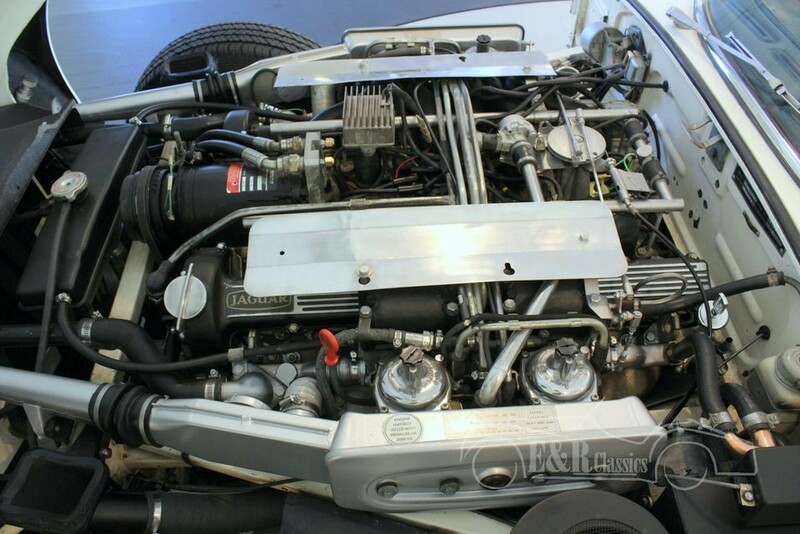 This Jaguar has the powerful 5343CC, V12, 314 HP engine and automatic gearbox. 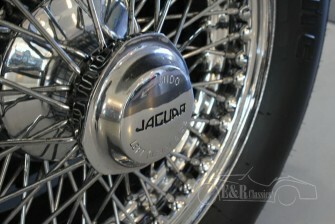 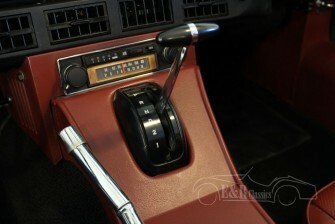 This Jaguar feels very comfortable but is also a real English sportscar. 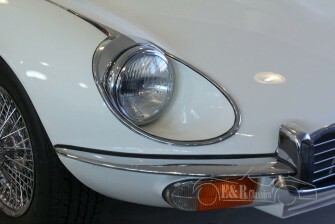 So a very beautiful, perfect driving Jaguar E-Type Series 3.